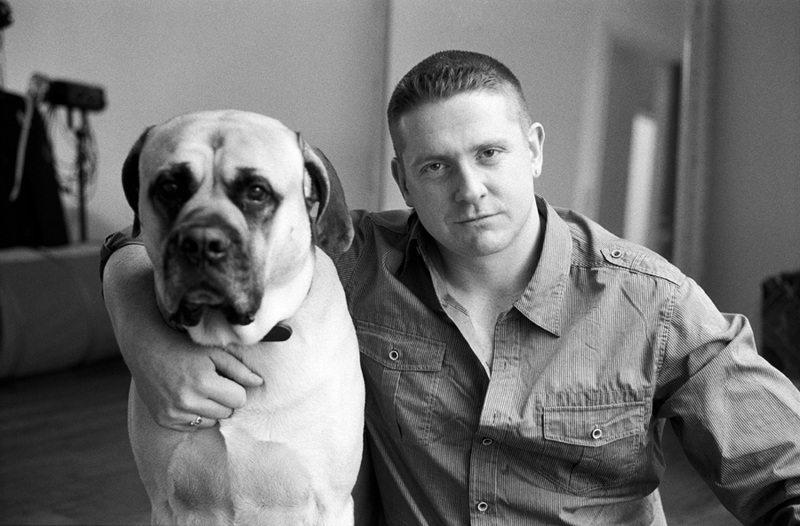 It's been four years since Irish folk legend Damien Dempsey graced the U.S. with a tour. Despite the runaway success of his new album Almighty Love overseas, is he worried about facing an audience that may have forgotten him on this side of the Atlantic? “I’m just gonna play my heart out,” he says, unconcerned about things like rebuilding an audience. “I have so much to say and I plan on telling them the new stories I have, the places I’ve been, that kind of thing. I also think I am a better player than I was the last time I was out there.” Of course, Dempsey is a brilliant storyteller, as the songs from his outstanding new album attest. Dempsey has been telling stories about Irish life since he broke out with Seize the Day in 2004. Back then Ireland was flush with cash and feeding raw meat to the Celtic Tiger economy. At the time, Dempsey seemed to be the only one railing against the greedy bloodlust all around him. “Count your blessings that you have enough bread/your belly full and you have a roof over your head/don’t go forgetting how lucky you are/what is it we are always wanting more/until greed consumes us and we’re rotten to the core?” he sang on “Cursed With a Brain” from the 2005 album Shots. Now, of course, the Celtic Tiger has bared fangs and claws as it bites people on the bottom for a decade of greed. “But I smelled a rat. They were losing the community spirit and hospitality. Who has the bigger house and car became a competition driving people. Was there a temptation to rub it in everyone’s faces, I ask? “You don’t want to rub it in,” he replies. “I think people were thinking I would make a follow-up album that said something like ‘I told you so,’ but that would have been too predictable and no one would want to hear music like that. Damo reports that he is always writing songs, with many of them political in nature. A household name in Ireland, Dempsey has topped the Irish charts twice in the past year with his singles “Rocky Road to Poland” (an Irish soccer World cup anthem) and “The Auld Triangle” (a charity single with Glen Hansard). Dempsey has been gratified by the response to his tour so far, with strong ticket sales. Apparently, U.S. fans haven’t forgotten the searing live performances this former boxer is capable of. “I am playing bigger rooms this time around, like the famed Bowery Ballroom and that has been gratifying to have that level of interest still be there,” he says. Dempsey is also philosophical about his music, shrugging off the risk of playing places he’s ever been. Our phone interview took place while he was in the Swiss Alps, where he was part of a Guinness festival. Dempsey has previously supported artists such as Sinead O'Connor, Morrissey (both in the U.S., U.K. and Ireland), David Gray, Bob Dylan, Willie Mason, Hot House Flowers and U2 on opening night of their U2360 tour in Dublin’s Croke Park. The time for Damo to highlight his own tour has arrived! Dempsey plays the Bowery Ballroom in New York on September 7. For more dates visit www.damiendempsey.com. Below is a video of Damien Dempsey performing "It's All Good" live.